In your vehicle, the brake pedal connects to the pistons, which connects to the brakes themselves. Most recent cars have disc front brakes and drum rear brakes. When your brakes function well, their primary purpose is to stop your vehicle through causing friction. In front brakes, friction will hold the brake calipers and pads. In rear brakes, the friction hits the brake drums and shoes. What causes brake failure? Several factors interfere with the proper function of your vehicle’s brakes. Grease or oil on your brakes causes lead to failure. This oil will interfere with the friction of your brakes. This issue also means that your vehicle may have an oil leak. In the warmer months, there is also the possibility of overheating. When brakes overheat to a moderate to a severe level, the metal in the brake rotors or drums will develop. This incident is what are known as hard stops. These are also called hot spots. Hot spots resist the friction from the brake shoes and pads. Because the shoes or pads cannot grab onto anything, there is no friction, and your brakes have failed. If you tend to brake hard or ‘ride the brake’ as you drive, you can also cause brake failure in your vehicle. It also happens with those who are nervous drivers and are always braking due to their anxiety. These drivers cause premature brake failure due to an issue known as crystallized brake pads or shoes. Production of heat will then occur, caused by repeated overuse. After which, the pads and shoes grow hard. When they become hard, they are going to be ineffective because brake material must be flexible and able to grip the disc or drum to stop the vehicle. At Ryan G. Motor Works, you will find real Auburn German auto specialists. Since 2008, our in-house technician has been serving the Auburn, California area with master-level service. 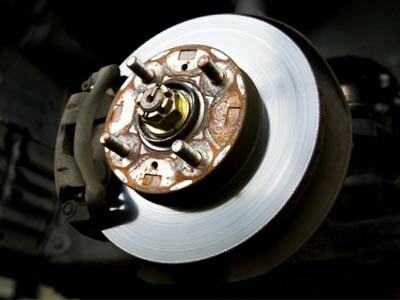 If you are looking for high-quality and reliable brake repair, Ryan GMW is truly the expert in the field. When it comes to life and death situation such as proper brake function, never take a chance. Although Ryan GMW is your premiere expert team for all services BMWs, Audis, Mercedes, Porsches, and Ferraris, customers can also find the best bike repair service in the surrounding area. Be sure to remain aware of the state of your vehicle’s brakes. Make sure that regular brake repair service is conducted to ensure that your vehicle is safe to be on the road. Brakes are more than a way to stop properly at a red light but can be a matter of life and death for not only yourself but every other driver on the road with you. Check out our BMW services page today for more information.